NOTE: This content is old - Published: Monday, Mar 21st, 2016. A £1m loan deal to upgrade two leisure centres in Wrexham has been described as a ‘spiteful snub’ against the community-run Splash Magic. 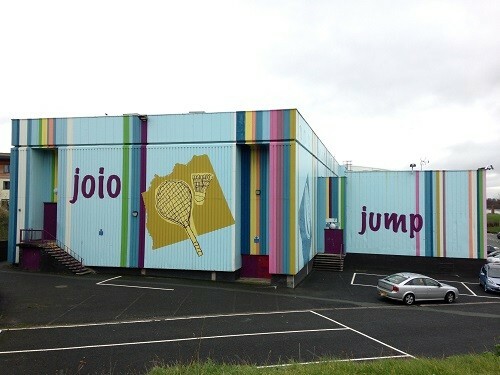 Last week Wrexham.com reported that a £1m Welsh Government Sports Facilities Capital Loan Scheme. had been secured to upgrade facilities at Waterworld and Chirk Leisure Centre. However Wrexham Council’s decision to not include Splash Magic in their successful bid has been questioned since the announcement was made last week. Splash Magic (formerly known as Plas Madoc) was taken over by a team of volunteers after the centre was closed in April 2014 as part of Wrexham Council’s ongoing budget cuts. The leisure centre later reopened at the end of 2014 as Splash Magic. Chair of Splash Magic, Darrell Wright said: “The view of Splash is that any investment in Wrexham area leisure facilities is to be welcomed but we had hoped that Wrexham Council would have included us in their investment plans. “It’s a kick in the teeth to find that Wrexham Council are going to invest £1million pounds in facilities which will be run by an outside entity and not consider giving Splash a small portion of that money to assist in their community venture. “A sizeable amount of the £50k that Wrexham gave Splash to start up has been spent on repairs that the Council had allowed to accrue and in truth a more realistic figure was in the region of £12k. The concerns about the spending of the capital loan have been echoed by Mabon ap Gwynfor, Plaid Cymru the Party of Wales’ candidate for Clwyd South, who said: “This is good news for Chirk and Wrexham and I welcome the proposed investment in both sites. We had argued strongly against the council’s original plans, put forward three years ago, to close Waterworld, a proposal based on an external report which cost the council tens of thousands and has proved to be flawed.